on the web and many more powerful features, you won’t need anything else to make things happen. Your content: at home in the editor. 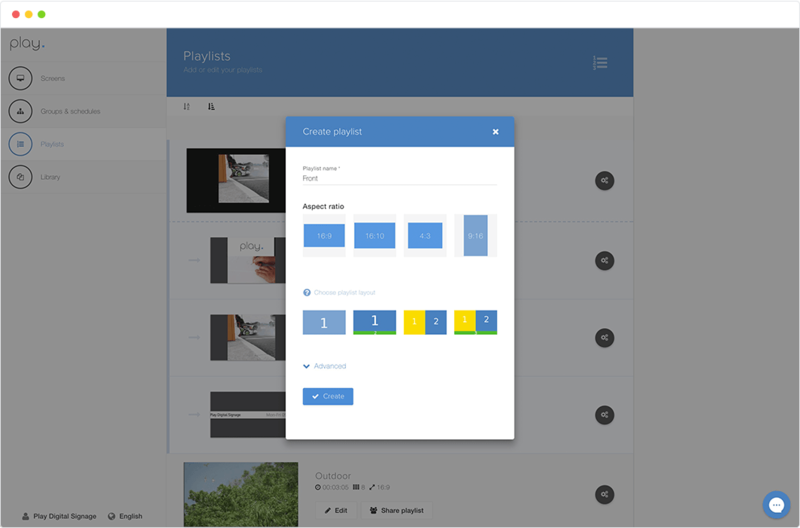 Design beautiful playlists without leaving our editor. 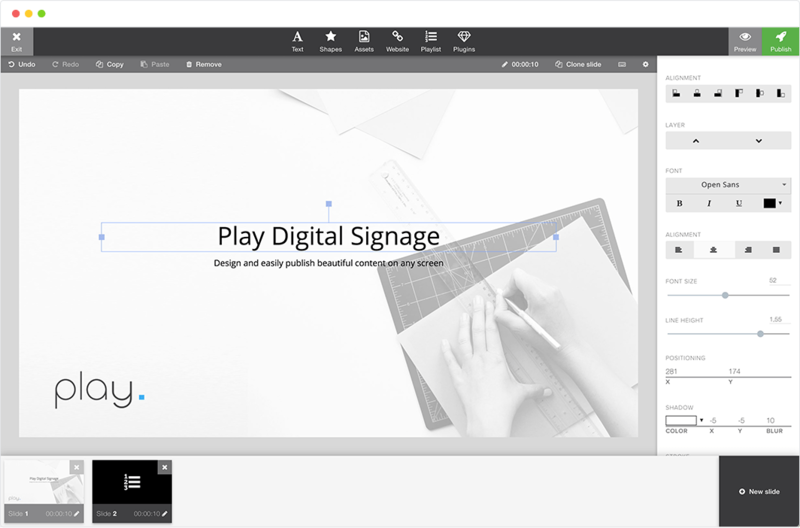 Basic shapes, custom fonts, images, video, YouTube or even websites, the Play Digital Signage editor can handle it without a sweat. 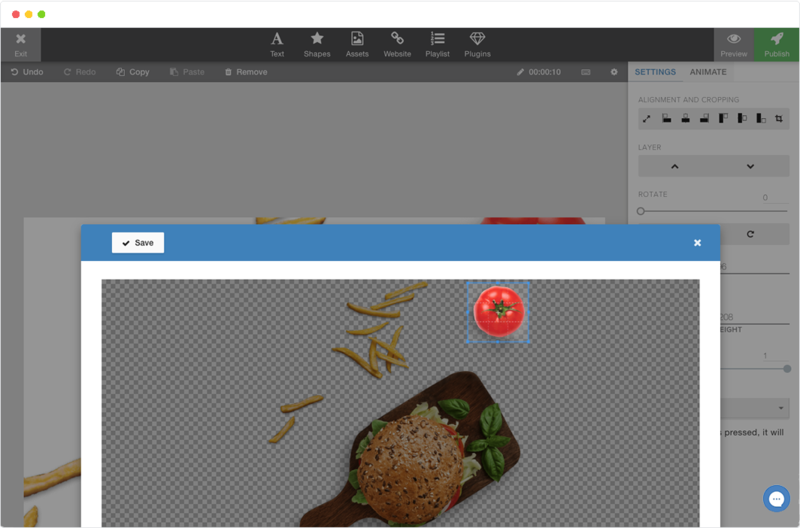 You’ll be able to customize everything about your media files. Our guide system will make sure everything is aligned and looks sharp. Manage everything about your screens. We’ve made the screen pairing process effortless and intuitive. 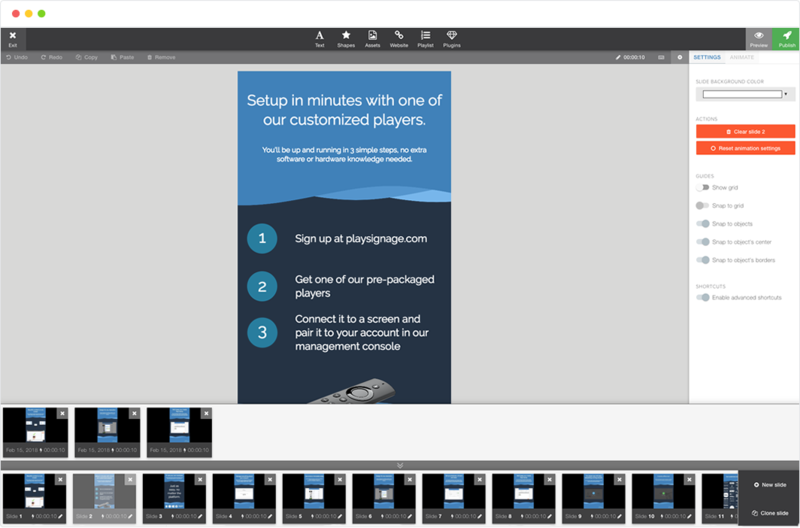 Our customers typically go from creating an account to adding a screen in under 1 minute. 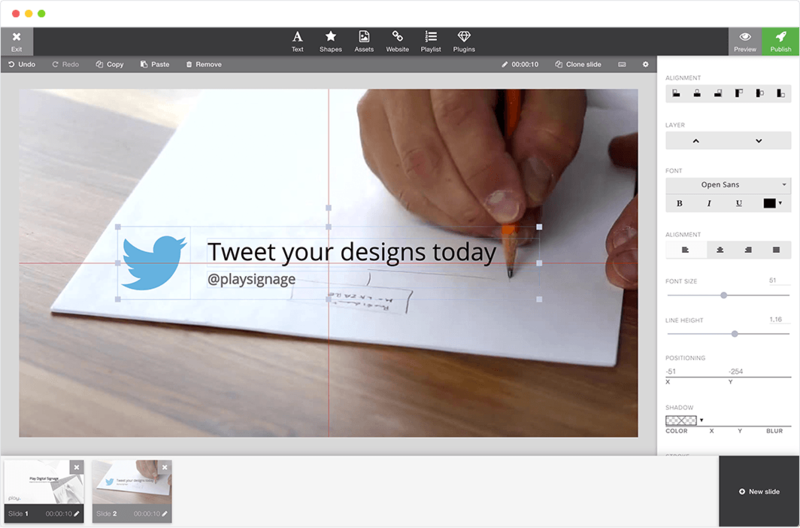 Re-use content and split your screens into zones that function separately from each other. Choose from our templates or design your own. Portrait, landscape and anything in between. From powering pylons to popular smart TVs, we got you covered. 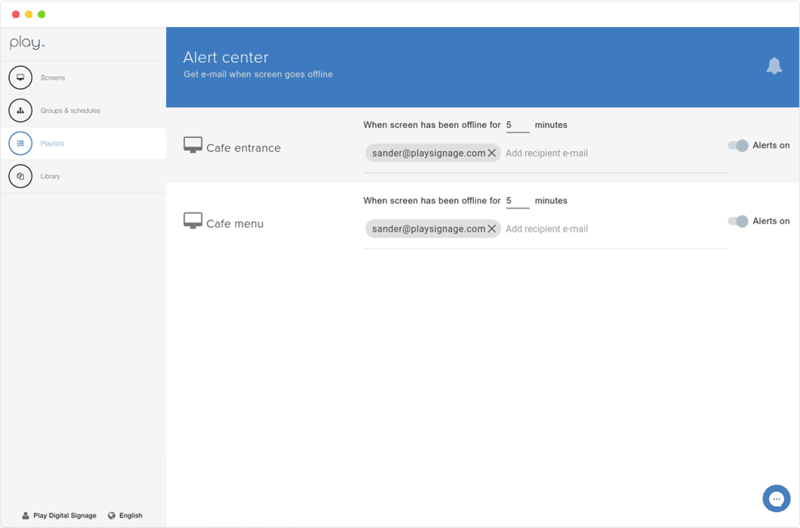 Get notified by e-mail when your screens go offline. Add as many notification recipients as you’d like! Set up schedules, sit back and relax. Your content scheduling was never easier to set up. Show meeting times in the morning, canteen menu for lunch and a video of your latest product in the evening. 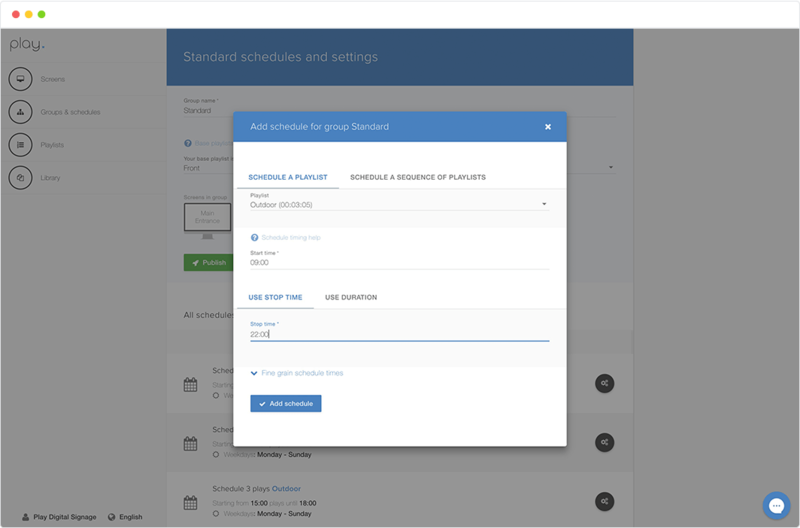 Play or schedule the same content on multiple screens by grouping them. 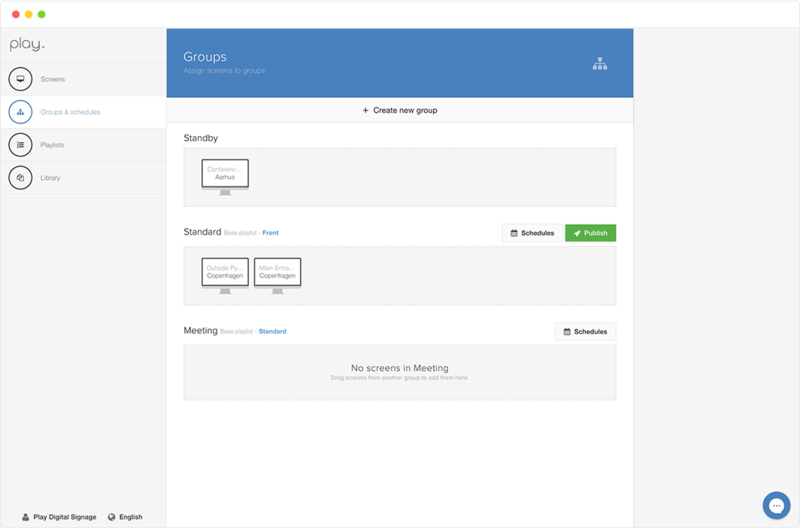 Make as many groups as you need and drag screens between them. You won’t need other software to get your files in. No matter what image, video or rich text formats you have, chances are that we’ll be able to convert them. We support: jpg, jpeg, png, tiff, gif, svg, pdf, ppt, pptx, key, mp4, mkv, avi, mov, mpeg, mpg, ttf, woff, m2ts, mxf, mts, ogg, m4v, 3g2, dv, 3gp, 3gpp, vob, webm, wmv, flv, swf, mp3, wav,, m4a, flac and are working on even more formats! Use folders to keep your media files organized, sort, preview or quickly search for what you need. Store slides for later use. 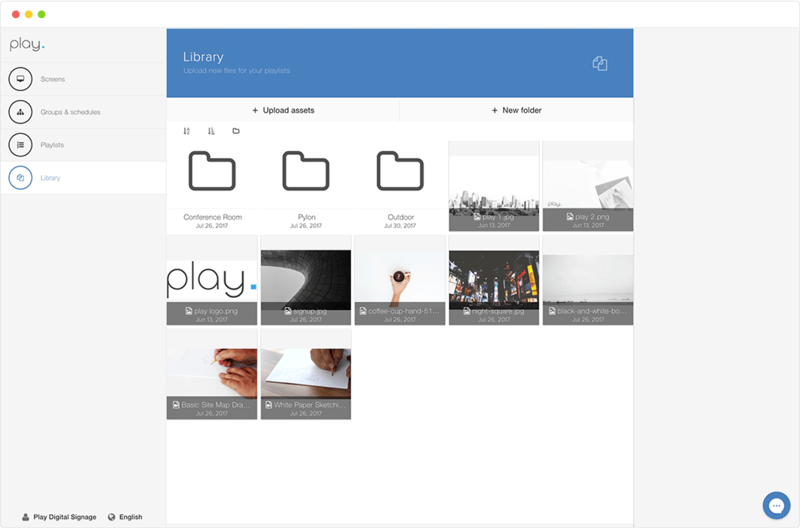 Stashing slides makes it easy to save, re-use and move your slides between your playlists. Use Screen Capture to capture an image of what’s playing on your screen. Building great playlists is time-consuming and sometimes you’re simply looking for a great idea for your content. To save you time we’ve added cropping in the editor. Sometimes it is easier to create a special mood when you add music in the background. 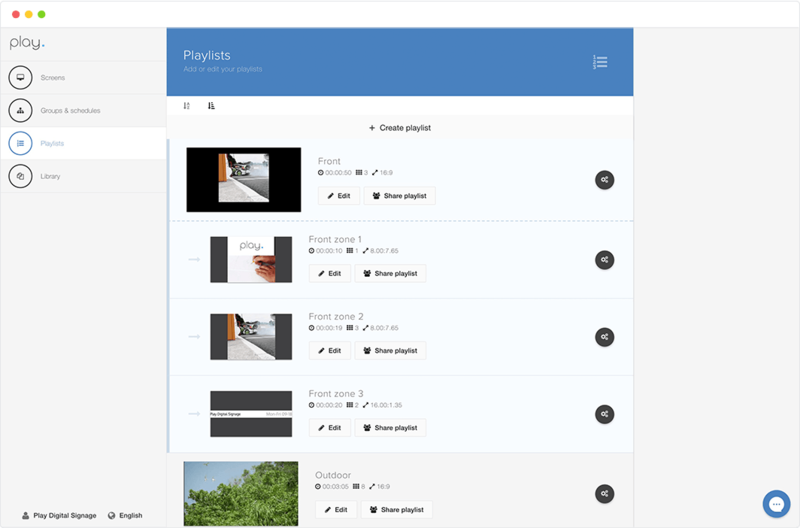 Sharing playlists – Share your playlists with someone external, your graphical designer, a manager, the receptionist etc. Drag and drop screens – Swiftly move screens between groups to easily change content on your screens. Teams – Build your team with multiple users having different roles. Randomize slides – Displaying images might get more interesting if they don’t show in the same order. Use your own font – You can upload your own fonts and use them in the editor. 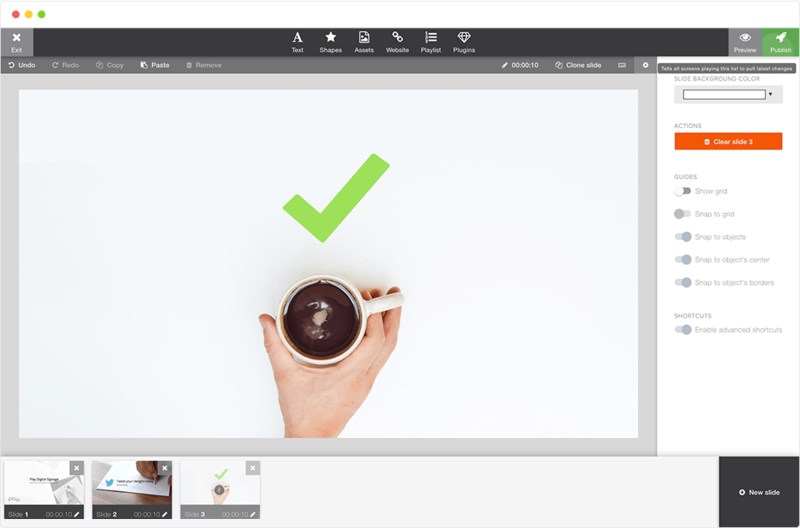 Snap to grid – Designing content gets way easier when having a grip, that way your text, figures or other objects always align perfectly! Shadows – Make text and figures stand out a bit more by adding shadows. Shapes – You can insert different shapes like circles, squares etc. Icons – We have made it easy to add icons, the repository offers many icons like tools, coffee, mobile, LinkedIn and many more. All icons are .png making it possible to change color easily. 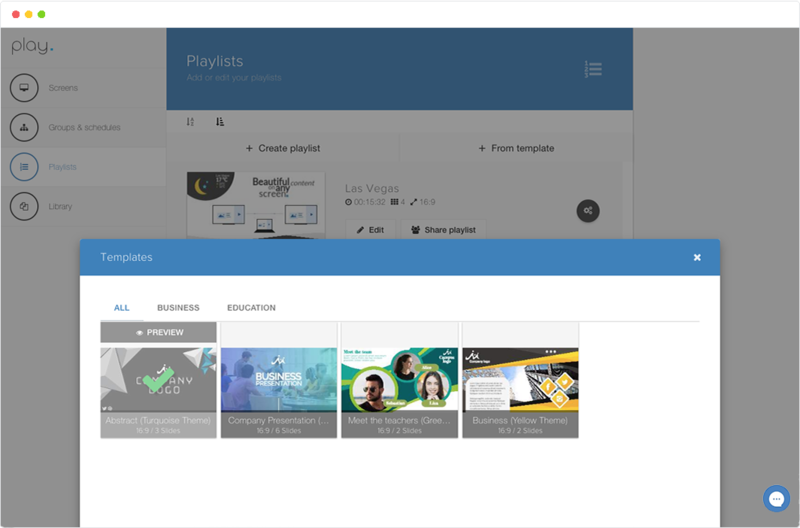 Playlist in a playlist – In addition to creating zones you can also add an existing playlist in your playlists. Slide animation – Keep things alive by adding entrance animations to your slides. Preview – Might be a good idea to see how your playlist performs before publishing it to all of your screens. Keyboard shortcuts – For those who like shortcuts, you can use multiple shortcuts to move objects, to add objects etc. Clone slides – Build a great slide and simply clone it to the next slide. Upload images from URL – No need to download and upload your images, video etc. from your desktop, you can simply upload by URL. Touch Screens – Interactive functions for touch screens offering you the opportunity to build an interactive experience for your viewers and keep them engaged. 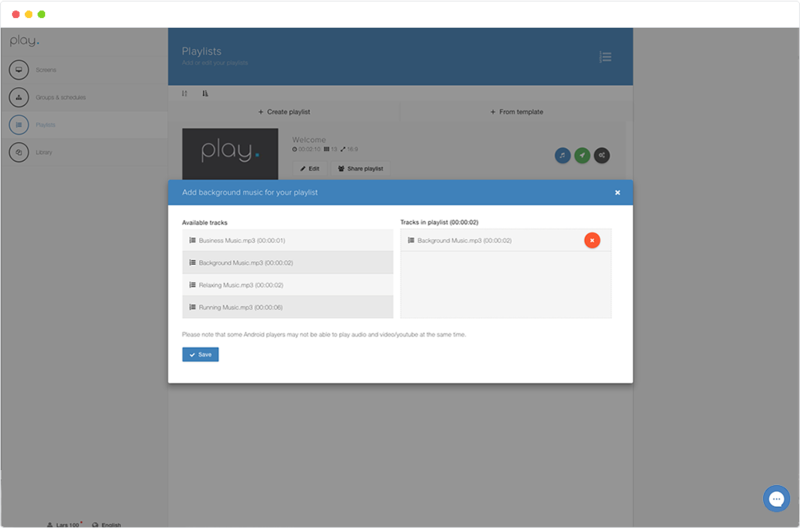 A sequence of playlists – You can schedule a sequence of playlists. 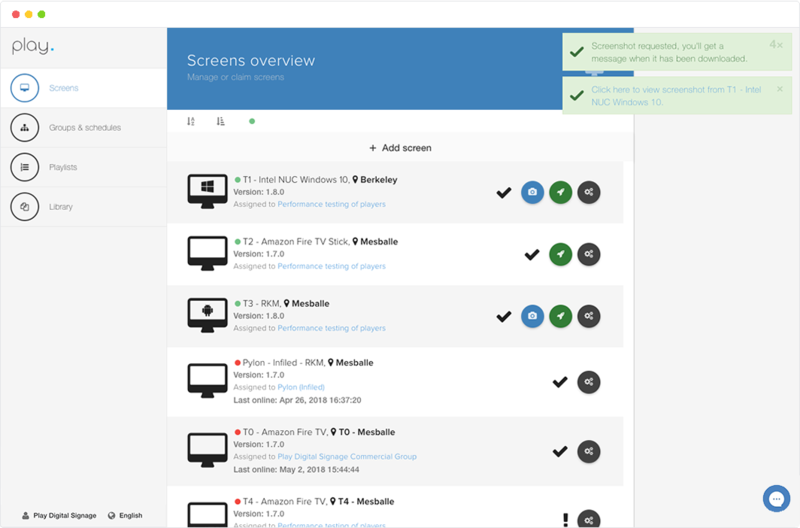 Multiple screen support – For Windows, MAC OS and Linux the app lets you choose which screen content is displayed on. Our player app will keep everything running smooth. You won’t have to break a sweat, we’ll keep your players secure, fast and with the latest features. Push content to any paired player in an instant. play it even without an internet connection. 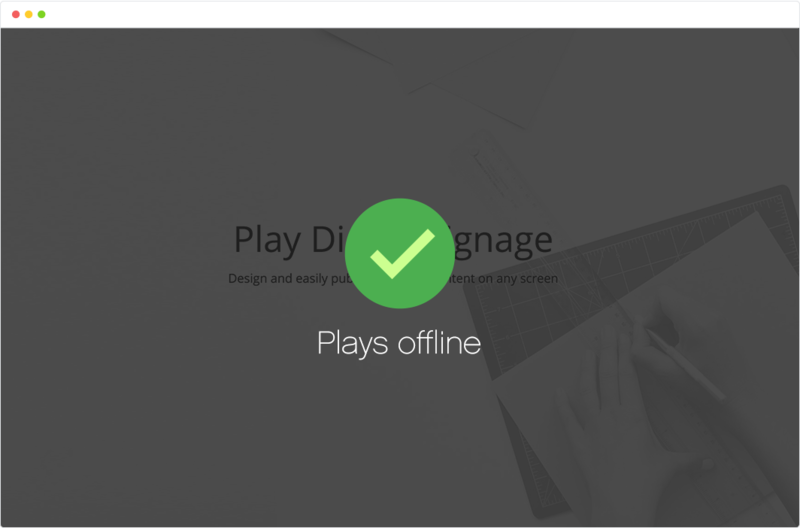 Use Play Digital Signage anywhere. 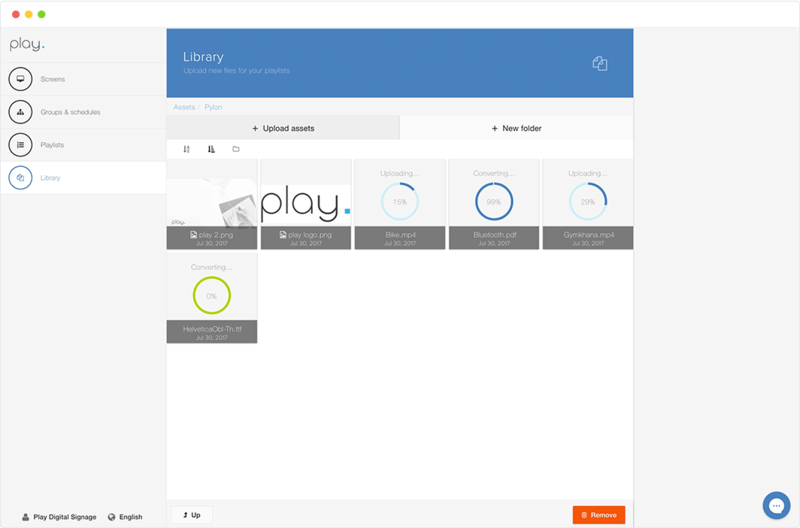 Our player is compatible with all major operating systems. No matter what hardware you choose, you’ll be able to use our software. Not sure which player to get?